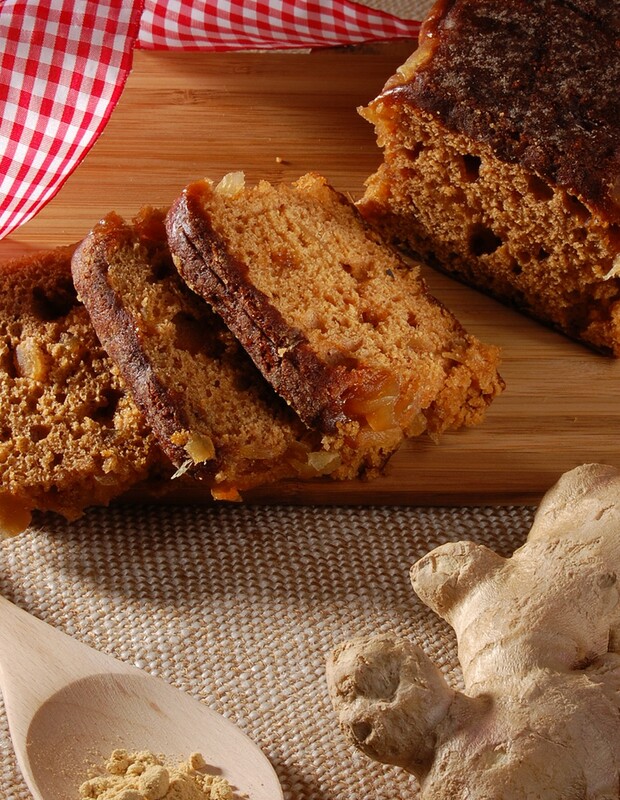 Surprisingly subtle, the flavour of the ginger enhances the other spices in this loaf. 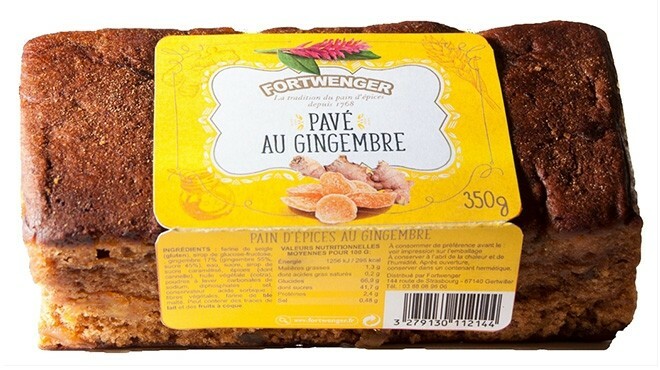 Rye flour (gluten), glucose-fructose syrup, ginger 17% (ginger 55%, sugar 45%), water, sugar, caramelized sugar syrup, spices (including cinnamon), vegetable oil (colza), raising agents: sodium carbonates, disodium diphosphates; salt, preservative : sorbic acid; vegetable fibres (potatoes, peas), malted wheat flour (gluten). May contain traces of milk and nuts.